Louis Vuitton has been at the forefront of luxury home and lifestyle goods for a couple of years now, so if you thought that the Parisian brand is pulling a ‘Supreme’ with these coloured pencils, think again. From Vivienne charms and trinkets, to the classic perfumed candles, you can say that Louis Vuitton has done it all. Well, almost. 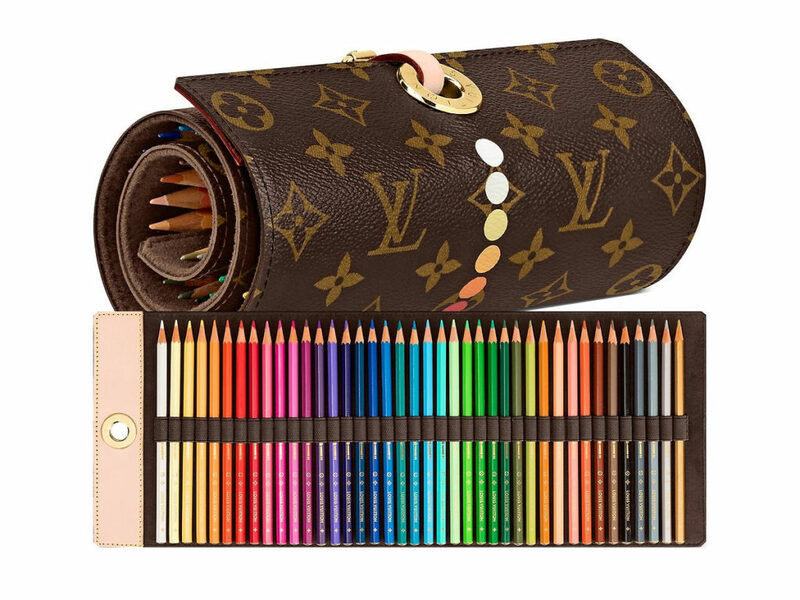 Take a look at these 40 fine-quality coloured pencils imbued with the Louis Vuitton watermark slotted individually within the foldable pouch, a refreshing new addition to the home and lifestyle department that’s set to officially launch in the days to come. Flip it to the other side, and you will find the pouch finished in Monogram Canvas, with hand-painted circles to indicate the colour of the pencil that sits on the opposite end. Priced at SGD1310, you should ring your SA or head to the boutique and put your name on the list to be informed the moment it’s officially up for sale. One thing’s for sure, this Coloured Pencils Pouch will be sold out before you know it.